Buying a home can be a dauniting task that has both risks and rewards. The following is a shortened version of an article that first appeared in October on RISMedia. I think that is offers some usefull information for those people who have their sights set on the “foreclosure”. Buying a foreclosure often is appealing to buyers trying to stretch their dollars. It’s finding a good one can that can be a challenge. Finding the bad one is easy. The vast majority of the banks don’t want us to advertise them as ‘bank-owned’ because it comes with a negative connotation. This means no sign on the front lawn indicating the home is anything other than a traditional sale. A buyer probably won’t find a property advertised as a foreclosure on marketing materials. Plus, in some markets, including Las Vegas, foreclosure inventory is actually down compared with last year as government programs attempt to keep owners in their homes and banks aren’t putting as many homes on the market. This is making it harder for buyers to purchace a foreclosure, and those paying with cash often win a bid over someone who needs financing. If you’re considering the purchase of a home that is now owned by a bank, it’s also important to know at the outset just how much work you’re in for — and how much it is going to cost you. Many foreclosures are in various states of disrepair; some of the fixes are cosmetic, but some can be extensive. 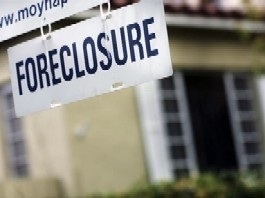 Those looking for the best deal probably shouldn’t rule out non-foreclosure properties.